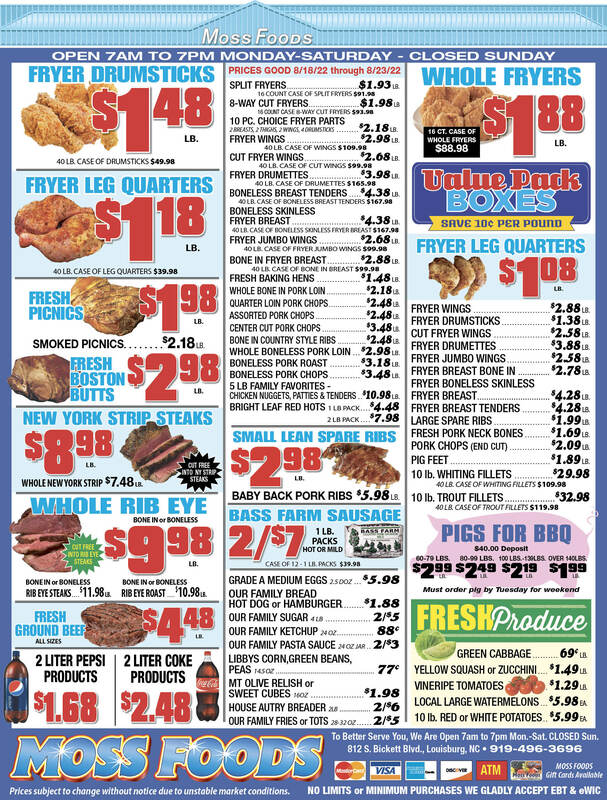 Showing 7 articles from February 9, 2017. 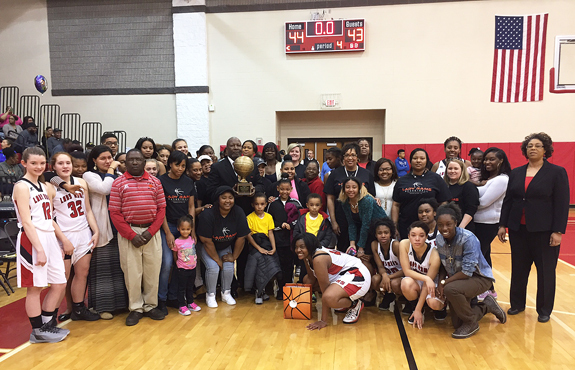 Surrounded by his current and former players -- and with the final score in the background -- Lester Wilder holds a bronze basketball that he received following the final home game of his girls basketball coaching career last Thursday night. 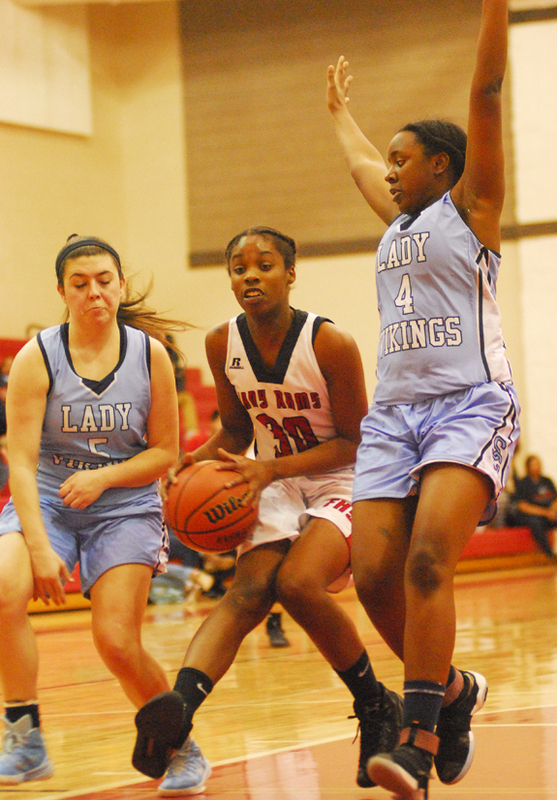 Franklinton High School's Sadarrah Burt splits a pair of South Granville defenders during last Thursday night's conference girls basketball game at the FHS Gymnasium. Cedar Creek's Colt Compton (left) gains possession during his club's road contest Monday at Terrell Lane in the opening round of the Middle Athletic Conference Boys Basketball Tourney. 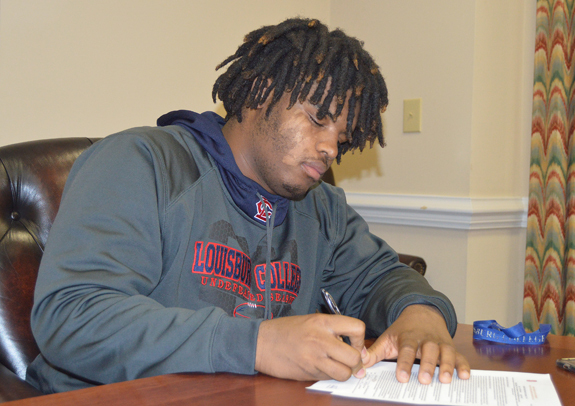 Louisburg College standout defensive lineman Larrell Murchison signs a letter-of-intent to join the football program at North Carolina State University. 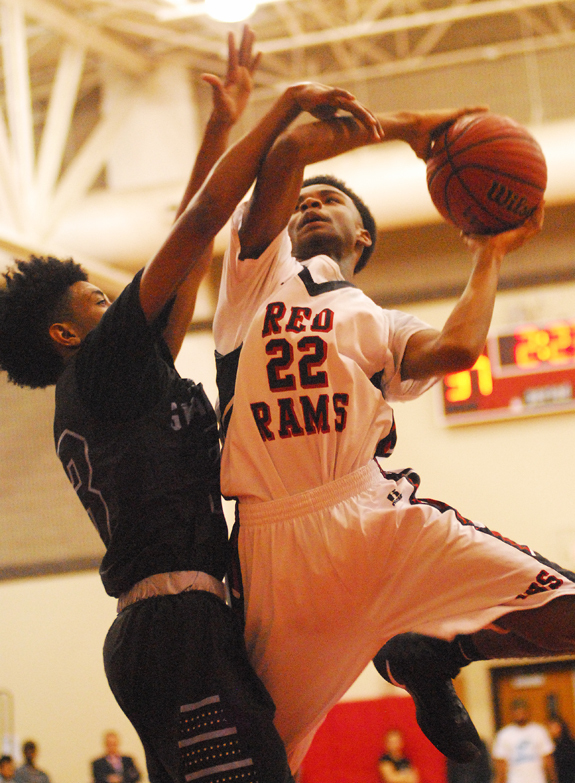 Franklinton's Tim Pettiford (right) uses unique body positioning to make sure his shot isn't blocked last Thursday at home versus South Granville. 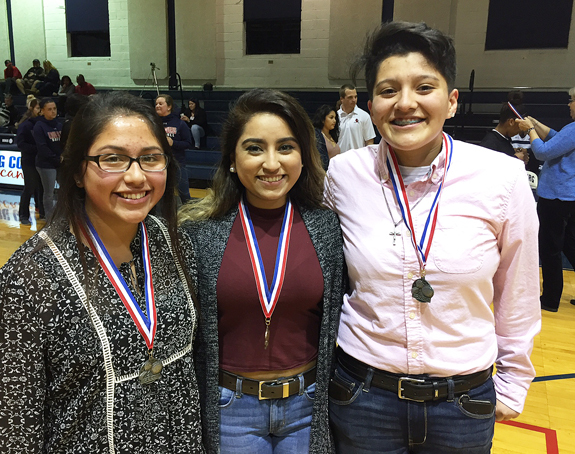 (L to R) Southern Nash's Leticia Cantera, Bunn's Lineth Martinez and Southern Nash's Jennifer Salazar were saluted last Wednesday as superb student-athletes at Louisburg College. 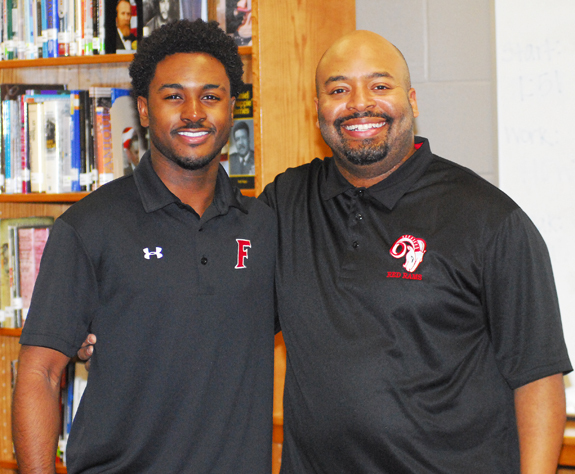 With Brandon Reese (l) patrolling the secondary and JeVar Bransome patrolling the sidelines, Franklinton reached the state football playoffs last season.